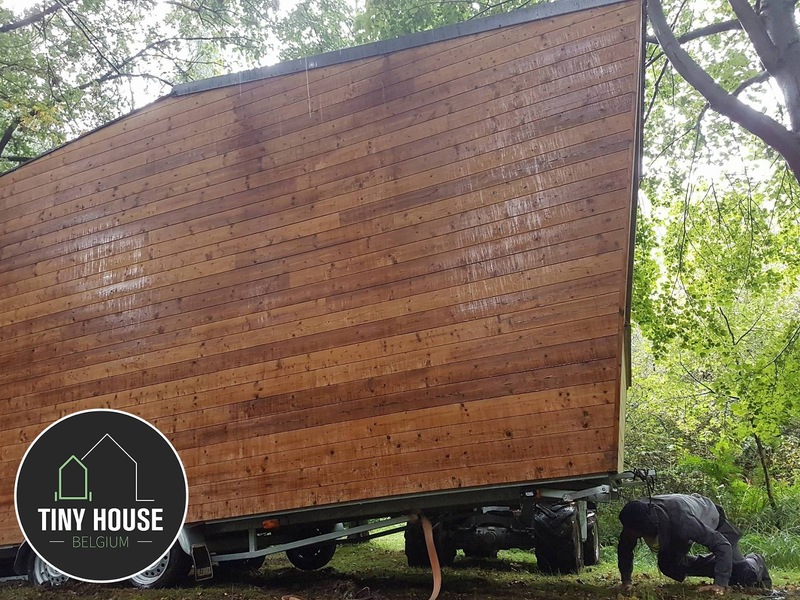 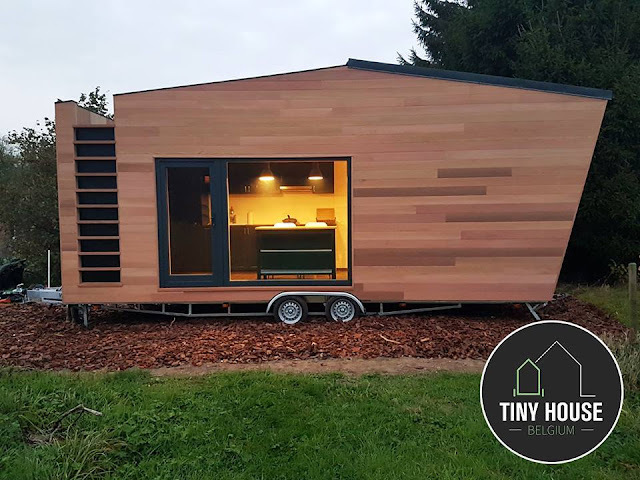 From Tiny House Belgium is this beautiful, modern tiny house on wheels! 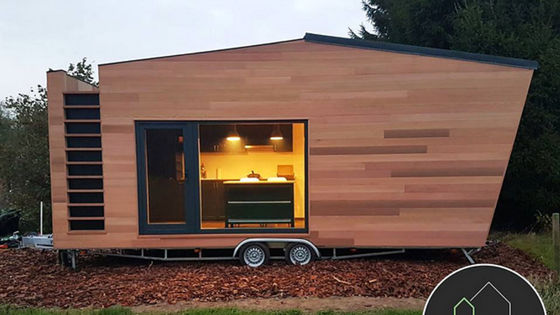 The home was designed and built for The Pop-Up Hotel; an alternative hotel in Oostkamp, Belgium. There, it will be one of three available tiny houses you can rent on a nightly basis. 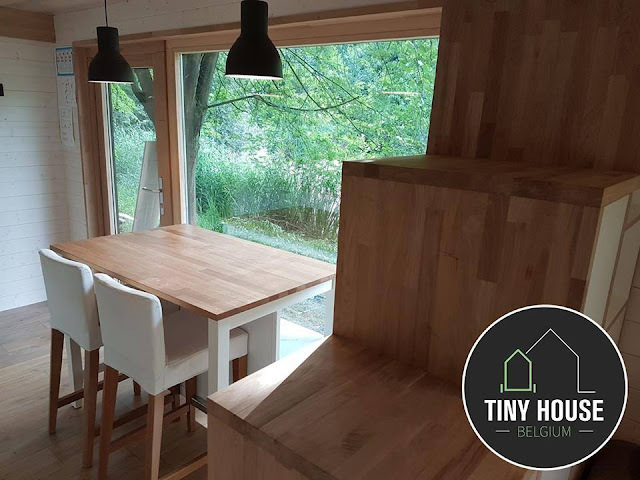 It's also the second one built by Tiny House Belgium for The Pop-Up Hotel (you can see their first model here)! 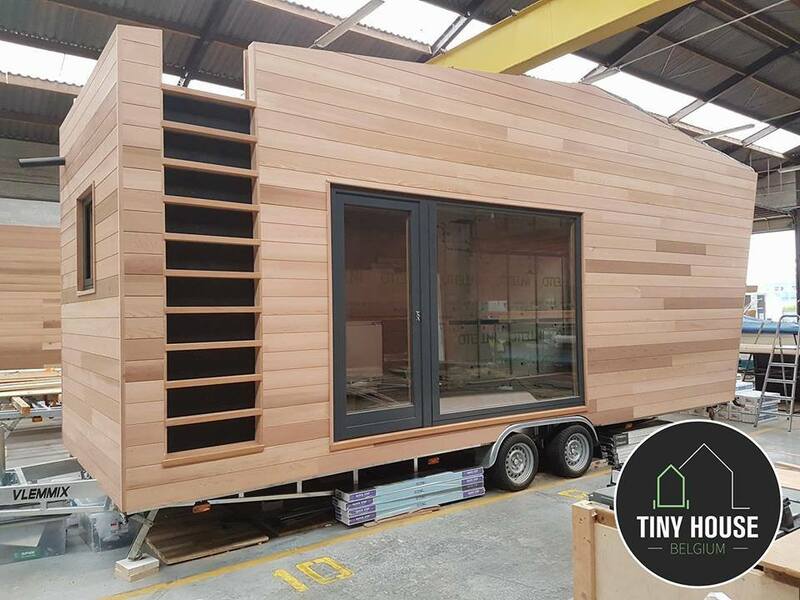 This model features a unique modern exterior with stairs leading up to a rooftop terrace. 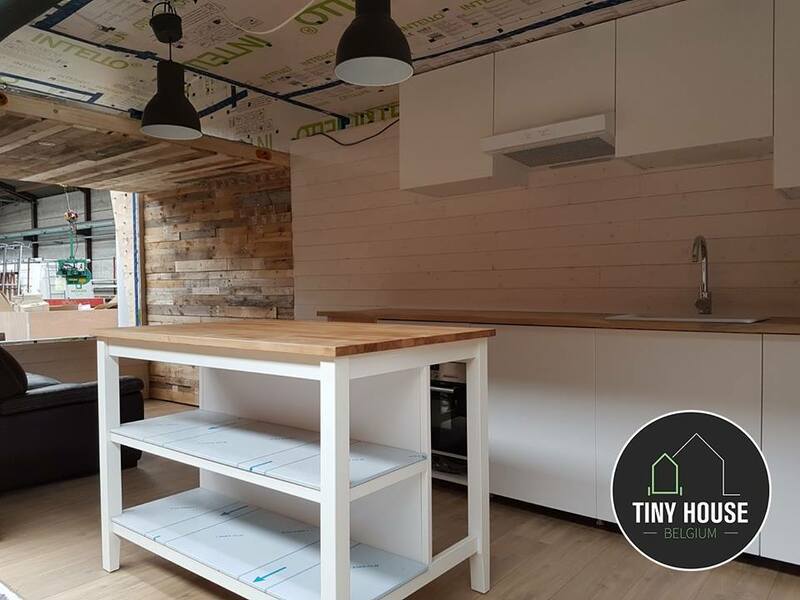 Inside the home is a fairly spacious kitchen, dining for two, a living room, and a loft accessible by stairs! 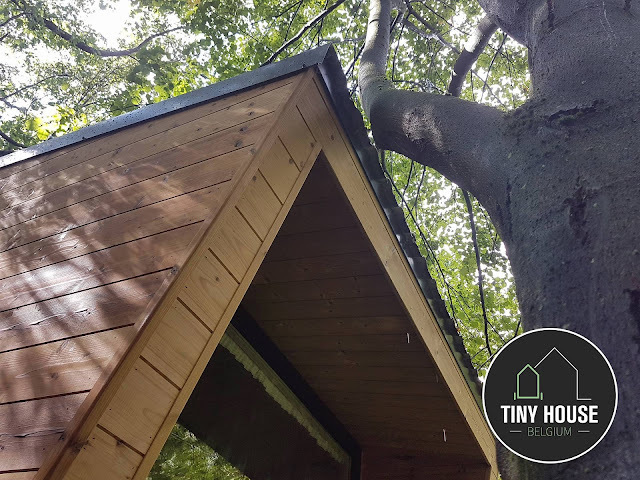 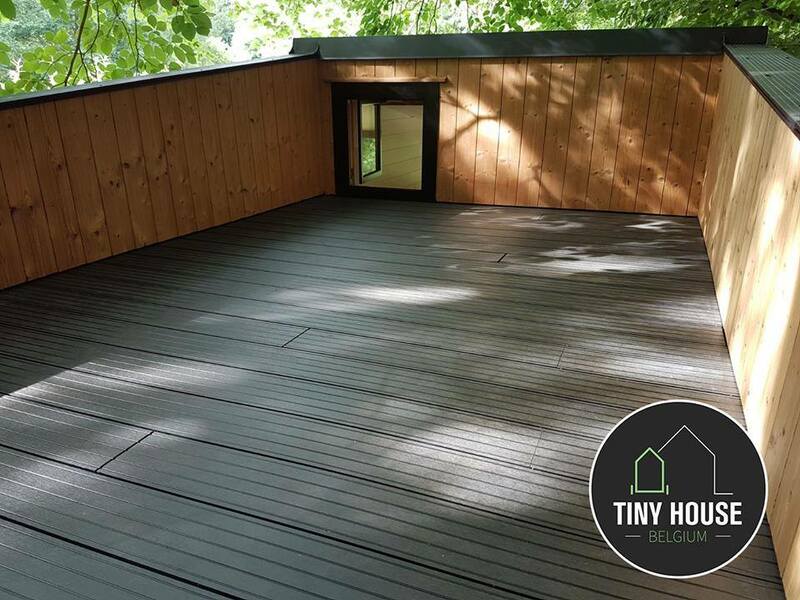 For more info on this home, contact Tiny House Belgium here!